Click to download a brochure about Exodus Homes! 2018 HONOR CARDS NOW AVAILABLE! Exodus Homes’ 2018 William Mangum Honor Cards are now available for the holidays. 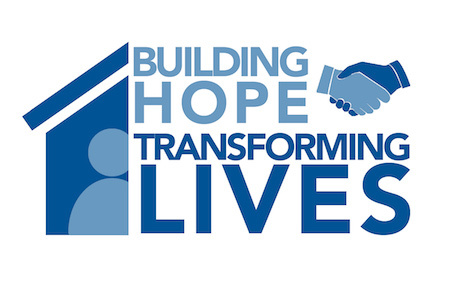 The faith-based United Way agency provides supportive housing for homeless recovering people returning to the community from treatment centers and prison. The annual sale of Honor Cards is a primary source of funding for the organization. To learn more about the Honor Card program, please click this link to visit our Honor Card page. “FROM DISGRACE to DIGNITY” — NOW ON SALE! Rev. Reggie Longcrier, Executive Director of Exodus Homes, has written a book about his life called “From Disgrace to Dignity”. Click this link to read more about the book and how you can order copies for you or your organization. You can buy the book on Amazon for $8.97 per copy; click the button to the right to order your copy online. Or you can buy copies online directly through Exodus Homes by clicking the link below! Copies are $8.95 each plus $5.00 shipping for up to 4 copies. If you need more than 4 copies, please send us an email by clicking this link and we can let you know about multiple copy discounts! Mitchell Gold + Bob Williams to Announce $100,000 Donation to Exodus Homes’ Capital Campaign and Name New Building “Transformation Station”! Community Celebration to be held September 29th at the Agency’s New Housing Facility and Offices in Hickory, NC. 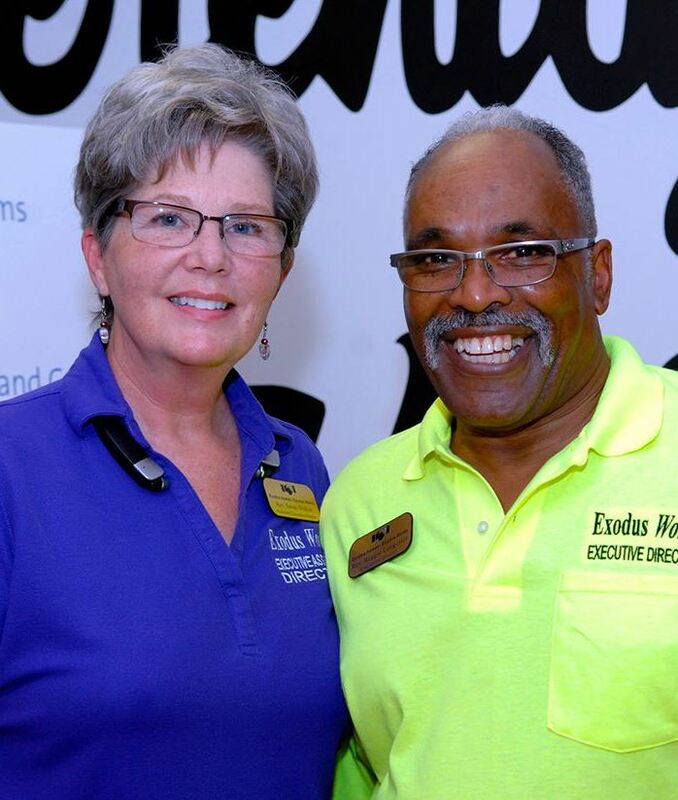 Renowned home furnishings brand Mitchell Gold + Bob Williams will announce its commitment to donate $100,000 to the Capital Campaign of Exodus Homes at a Community Celebration on September 29, from 10am-12pm. The celebration will be at the agency’s new building, located at 610 4th St. SW in Hickory. Mitchell Gold + Bob Williams contribution gives them the naming rights.The Exodus Works Thrift Store has officially opened at 510 1st Avenue, SW, Hickory. Click here to read more about the Community Celebration and the Mitchell Gold + Bob Williams contribution. The video below lets you see “Exodus in Action”, both by listening to residents, staff, board members, and community leaders talk about the impact of the program. The video was produced in 2005, and features interviews with past and current residents. 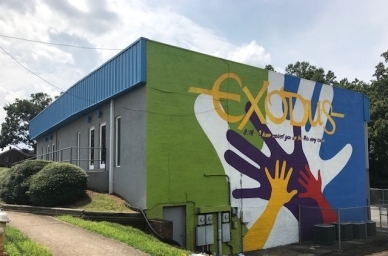 Many things have happened at Exodus Homes since this video was produced, but you can still see how much progress and growth the organization has had over recent years. If you would like a copy of this video on DVD to share with a local community group or with your friends, please contact us at the contact information above. This video was produced by Jackson Creative, a full service video and multimedia company in Hickory, North Carolina. Visit them at www.thejacksoncreative.com.